"Walls has joined the company of writers such as Mary Karr and Frank McCourt who have been able to transform their sad memories into fine art." 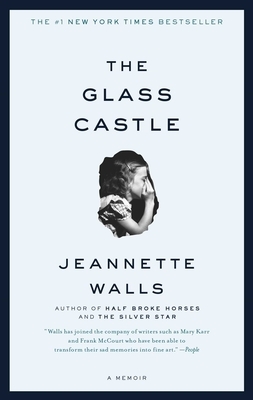 "Walls has a God-given knack for spinning a yarn, and The Glass Castle is nothing short of spectacular." "Each memory is more incredible than the last... That Walls recounts them so well and in such detail is our good fortune." "On the eighth day, when God was handing out whining privileges, he came upon Jeannette Walls and said, 'For you, an unlimited lifetime supply.' Apparently, Walls declined His kind offer." "Charles Dickens's scenes of poverty and hardship are no more audacious and no more provocative than those in the pages of this stunning memoir." "Some people are born storytellers. Some lives are worth telling. The best memoirs happen when these two conditions converge. In The Glass Castle, they have." "The Glass Castle is the kind of story that keeps you awake long after the rest of the house has fallen asleep." "The Glass Castle is nothing short of spectacular."